It’s not all bleak news coming out of downtown Basalt these days. Two high-visibility businesses in the compact commercial core are preparing major changes. The Phillips 66 gas station at the entrance to downtown was purchased after a foreclosure and will reopen by Christmas, according to the new owner. In an unrelated development, the Green Drake motel will close later this fall for an extensive remodeling and look to reopen next spring, representatives of the partnership that owns the Midland Avenue property said. The investments will be welcome in the beleaguered downtown core, where good news has been rare in recent years. Several storefronts are vacant, and additional businesses are closing each month. The latest to close was the Basalt Wine Shop. The owners of some retail shops, restaurants and hotels recently created the Basalt Downtown Business Association to try to give the area an economic shot in the arm through promotions and exposure. The reopening of the gas station and the remodel of the downtown motel should help boost the momentum. First National Bank of Paonia repossessed the Phillips 66 in a trustee sale in August after RBG Partners LLC defaulted on a loan. The bank marketed the property itself and sold it for $624,000 on Oct. 24 to Four Corners Properties LLC, according to a deed recorded with the Eagle County clerk and recorder. “It’s a great property. It’s the center of the universe of Basalt,” said Mike Solondz, who controls Four Corner Properties. He said he will reopen the business as a gas station and convenience store. He wants to give the building a cleaner, fresher look. The station will remain affiliated with Phillips 66, he said. The convenience store will be named Kassie’s Corner Store. Solondz said he is interviewing candidates for manager with plans to hire a local resident. The operating plan is still being created, but he said he aims to offer more “healthy items” at the convenience store and possibly some fresh foods. His goal is to reopen the convenience store by Christmas. It’s possible gas will be sold before then. Solondz said he learned of the availability of the space from the bank that repossessed it. He was interested in the purchase because of the prime location and visibility. Solondz said the business would focus on winning back its customers. The prior owners of the gas station had a total indebtedness of $943,227.28 when the property was sold Aug. 28 in a trustee sale, according to a foreclosure filing by First National Bank of Paonia. The bank acquired the property with a bid of $700,000. That left a deficiency of $243,227.28. The $624,000 sale last week was a cash deal, Solondz said. An attorney for the bank told The Aspen Times in August that his client wanted to liquidate the property as soon as possible. 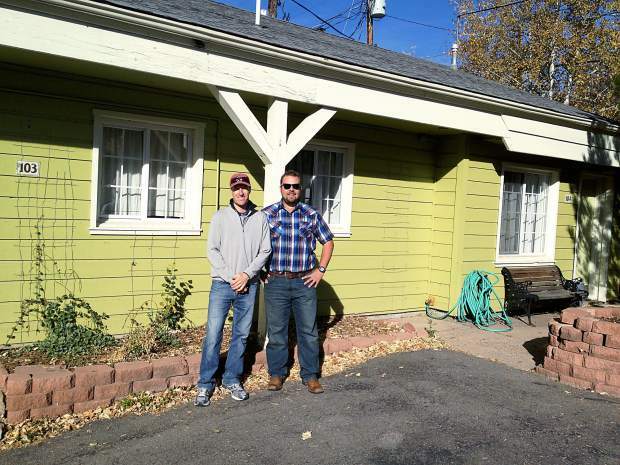 Roughly a block from the gas station, the Green Drake motel plans a major renovation to its office area and 25 rooms, according to Mike Tierney and Josh Mondry, partners along with Aspen architect Charles Cunniffe. They bought the motel, which was built in phases starting in 1951, as a redevelopment opportunity. They were unable to earn approval for a mix of commercial and residential uses before the recession hit in late 2008. It’s a different age in the real estate development business now, Mondry said, so they have decided the best use for the property is to remain a hotel. Cunniffe’s firm is working on a modern cottage design for the two buildings. The last major remodel was in 1994. Tierney said while on a tour of what he called a “tired” property that everything from the texture of the walls to the bedding will be updated. The windows and doors will be replaced as well as the toilets and sinks. New heating and cooling systems will be installed. The furniture, kitchen appliances and TVs will be replaced. The office will be opened up and a seating area will be created for guests. The property will have more of a feel of a hotel than a motel, the partners said. Mondry said it will possibly have the feel of “Limelight lite,” referring to the hotel in Aspen. Tierney said the remodeled Green Drake will be “three notches above” where it’s at today. Nevertheless, the Green Drake will remain a mid-priced, affordable hotel, they said. They will continue to court the hunters and anglers who are their bread-and-butter customers. They also want to make it more of an option for people attending weddings, graduations and other special events in the Basalt area. The partners were previously reluctant to put the money into the motel because they planned to redevelop it as something else. But as prospects of changing the type of use faded in the new economic times, they started talking about a remodel about one year ago. They decided to go ahead, using their capital rather than a loan, a few months ago. The Green Drake will close temporarily at the end of November. Work will begin in December and should be completed by early May, the partners said.